For those who liked it or those who are just gluttons for their own self-punishment, Hasbro has posted the full Combiner Wars series on their YouTube for viewing if you need to be reminded of this chapter of the Prime Wars trilogy before the impending return of part two of the series with Titans Return. Click the image below to be forwarded to YouTube to watch all 8 episodes of the Combiner Wars series. Titans Return is scheduled to be released in November. True. I might have to grab it. Rated X wrote: True. I might have to grab it. I'll light a candle for ya. Nope, after last year I don't need another reminder. watching TR I anticipate will be hard enough. If they would have edited it all together into a single 40 minute video, I might watch it again on a lunch break at work, or if I absolutely had nothing better to do, but nope...not going to do it. Thanks for the warning, I'll definitely steer clear of it. Even the Mortal Kombat franchise had a few hiccups (I am referring to MK4), but they learned from their errors to make even better games afterwards. Why wouldn't Hasbro or Machinima not do the same? And with modern media-tech like boards like this, it is even easier to listen to the criticisms and learn from us, the Fans who support their projects. I won't deny that Combiner Wars had it's issues; far from it! But does it really need to be as reviled as some fans make it out to be? At least they made it to begin with, to be critiqued and appreciated by the Fans that enjoy Transformers. And now they have the ability to use Titan's Return to give us all another story and show us if they have learned from Combiner Wars. I am legitimately looking forward to watching Combiner Wars in one shot to make it easier to compare with the future Titan's Return story. ok..., so I was completely unaware that the CW series was a bonus on the Target exclusive of TLK. Is the series terrible? Sure, but as a completest, I'd like to have it on DVD. Does anyone know if it is in the 8 separate chapters, or is it edited as a single presentation?...It irritates me a bit that things like this are not universal. I don't want to have to compare 20 different versions of a single films media release just to "pick and choose" which bonus content I want.. . I picked up the Target exclusive for the bonus CW “movie” and eh...it’s grown on me. Aside from the story the frame rate was my biggest gripe and after rewatching it on the bluray it didn’t look as choppy. o.supreme wrote: ok..., so I was completely unaware that the CW series was a bonus on the Target exclusive of TLK. Is the series terrible? Sure, but as a completest, I'd like to have it on DVD. Does anyone know if it is in the 8 separate chapters, or is it edited as a single presentation?...It irritates me a bit that things like this are not universal. I don't want to have to compare 20 different versions of a single films media release just to "pick and choose" which bonus content I want.. .
It’s not on it’s own disc it’s a bonus feature in the second disc. If you’re a die hard fan and you are just watch it. It’s 40 minutes. Knowing what you enjoy from your posts you might find some fun in it. That’s not a dig that’s a compliment. Like I just said just I rewatched it and it’s not the worst thing ever. The story in a nutshell is the war is over and cybertron is run by rodimus, mistress flame and starscream and Combiners are fighting...because. They apparently destroy Caminus and windblade wants to kill Combiners and the council...becuase. The council wants to use the enigma to end the combiner wars by creating more Combiners with the enigma...yeah. 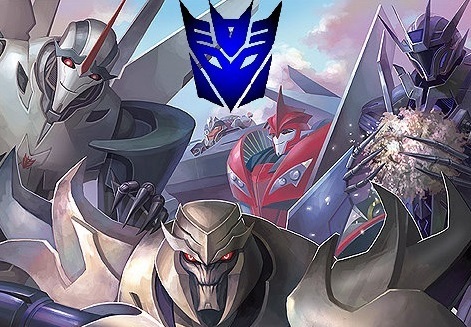 Optimus and Megatron join windblade in stopping the council using the enigma...becuase and then it goes to migraine territory. It’s pretty ridiculous and makes no sense but hey, G1 cartoon and Megatron is pretty awesome in it. Randomhero wrote: Knowing what you enjoy from your posts you might find some fun in it. That’s not a dig that’s a compliment. Like I just said just I rewatched it and it’s not the worst thing ever. Thanks for the response. I've seen the series, from day one when it first was on go90 over a year ago, so I'm familiar with it. I just like collecting things on DVD/BRD, that are part of my overall interests even if they are terrible. Honestly I was not happy with Combiner Wars, simply because Combiners are my favorite part of the whole TF mythology, and this In my opinion, did them a great disservice. I know its overall length is roughly 40 mins, but is the bonus content on the Target DVD shown as a single installment, or 8 separate chapters?? I purchased just the standard TLK DVD/BRD/Digital combo ($20) on release day, but wasn't aware the Target version had this. I don't want to purchase another whole copy just for this, but if I could somehow get the bonus DVD by itself, that would be good enough. Oh my bad I thought you meant you hadn’t seen it. Like I said it’s just a bonus feature. When I got it and opened it I said “where the disc? !” Becuase it said on the cover target exclusive bonus disc but it’s not. it’s actually just a feature on the standard bonus disc and to my knowledge the other retail versions had a second disc. Maybe I’m wrong. Randomhero wrote: Like I said it’s just a bonus feature. When I got it and opened it I said “where the disc? !” Becuase it said on the cover target exclusive bonus disc but it’s not. it’s actually just a feature on the standard bonus disc and to my knowledge the other retail versions had a second disc. Maybe I’m wrong. You still haven't answered his question. Is it presented as one single "movie" edited together, or as the eight individual chapters that it was originally released as online? We have a new poster for the upcoming Transformers animated series sequel to Combiner Wars, produced between Hasbro and Machinima once more, and featuring a revamped cast for almost all the characters involved: Titans Return is about to strike! 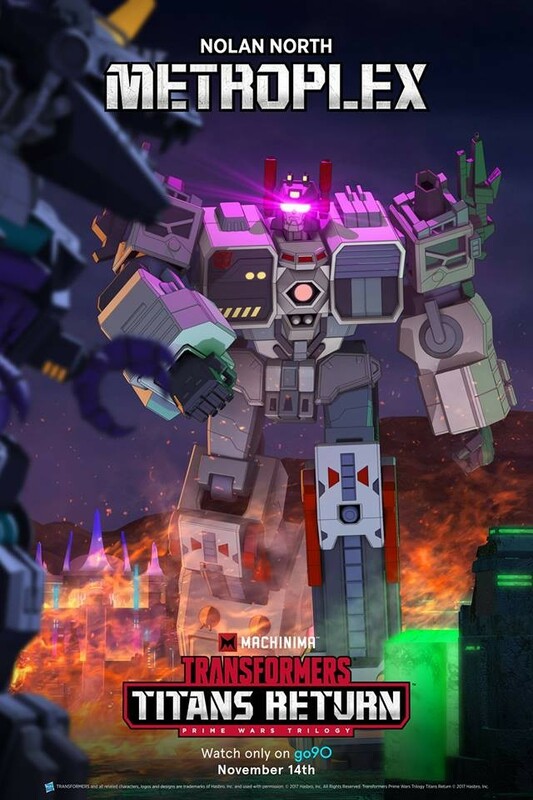 The poster, mirrored below from the Machinima Facebook page, features Metroplex and the name of its voice actor, Nolan North, much like the previous one we newsed of Emissary and Jason David Frank - teased as being ready to fight Trypticon. Check it out below, and join us in waiting for the series as it streams for US audiences on the go90 app, and possibly the rest of the world on one of the official YouTube channels, as of November 14th. Watch Metroplex take on Trypticon in Transformers: Titans Return only on go90 11/14. You can see how bad the animation is going to be from this poster or at the very least it's very low rez. Horrible poster regardless with the lack of scale and bad presentation but unlike many others I'll be giving the sequel a chance even if the first is probably the worst transformers screen media. I like Nolan as a voice actor, so I'm hoping his Metroplex voice goes good. Just out of pure speculation.....and based on last years CW series. I'm guessing that in the first episode there will be an *epic* battle between Metroplex & Trypticon (by epic I mean the battle between Menasor and Computron) , that will result in Metroplex either being severely damaged, or destroyed. 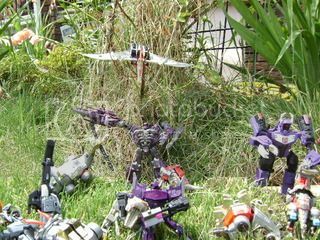 The entire middle of the series will have Windblade, Optimus, and Megatron looking for Emissary, while Trypticon runs amok on Cybertron Godzilla style, he might even stomp a few combiners along the way. Eventually at some point, maybe even the last episode, Fortress Maximus will show up and defeat Trypticon. Last edited by o.supreme on Tue Oct 31, 2017 10:19 am, edited 1 time in total. That... That sounds extremely plausible. Nah, that's when the power of the primes will save the day and set up the final part of the trilogy! Oh and I forgot...Mistress of Flame will have twice as many staff *doinks* this time around, and Rodimus will do something stupid. I wonder who will replace Starscream on the council? The only other new character we know of is Perceptor...who I admit I have no idea what his purpose will be. o.supreme wrote: Oh and I forgot...Mistress of Flame will have twice as many staff *doinks* this time around, and Rodimus will do something stupid. I wonder who will replace Starscream on the council? The only other new character we know of is Perceptor...who I admit I have no idea what his purpose will be. Based on your plot prediction, I assumed Perceptor would be the one who tells Optimus/Windblade/Megatron about Emissary and initiates their need to find him. I believe your prediction is way more plausible, and makes sense, but as a Godzilla fan, I just thought it would be funny. Maybe Perceptor will take Megatron's role as the only good character this time!